There’s a first time for everything! 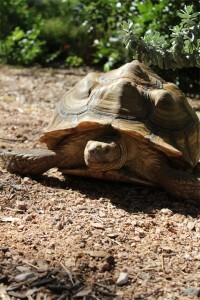 When this customer contacted us, we had no idea that his “16 year old” would turn out to be a tortoise! There were very specific needs that had to be met, and we rose to the challenge! Not only did the space require all plant material to be edible and nontoxic, but the habitat would also need multiple types of terrain, a shelter, and a sustainable water source. With this recipe we turned this landscape into something beautiful, but also fully functional! Now hiring a Landscape Maintenance Foreman as well as a few other positions! Current water restriction! Please help conserve water!! Independence Day is this Thursday!